At the seminar the associate professor of the Department of Algebra and geometry of the Mechanics and Mathematics faculty, the doctor in math, Sadi Bayramov spoke on the theme “Generalized metric spaces”. On May 08, 2018, at 11:00 am (room #513) the next weekly scientific seminar of the Faculty of Mechanics and Mathematics will be held. At the seminar the associate professor of the Department of Algebra and geometry of the Mechanics and Mathematics faculty, the doctor in math, Sadi Bayramov will speech on the theme “Generalized metric spaces”. At the seminar the associate professor of the Department of Theory of functions and functional analysis of the Mechanics and Mathematics faculty, c.p.-m.s., Telman Gasymov spoke on the theme “The basicity of the eigen and adjoint functions of discontinues differential operators”. On May 01, 2018, at 11:00 am (room #513) the next weekly scientific seminar of the Faculty of Mechanics and Mathematics will be held. At the seminar the associate professor of the Department of Theory of functions and functional analysis of the Mechanics and Mathematics faculty, c.p.-m.s., Telman Gasymov will speech on the theme “The basicity of the eigen and adjoint functions of discontinues differential operators”. At the seminar the associate professor of the Department of Computational Mathematics of the Mechanics and Mathematics faculty c.p.-m.s., Elvin Azizbayov spoke on the theme “Solvability of nonlocal inverse boundary-value problem for a second-order parabolic equation with integral condition”. On April 24, 2018, at 11:00 am (room #513) the next weekly scientific seminar of the Faculty of Mechanics and Mathematics will be held. At the seminar the associate professor of the Department of Computational Mathematics of the Mechanics and Mathematics faculty c.p.-m.s., Elvin Azizbayov will speech on the theme “Solvability of a nonlocal inverse boundary-value problem for a second-order parabolic equation with an integral condition”. 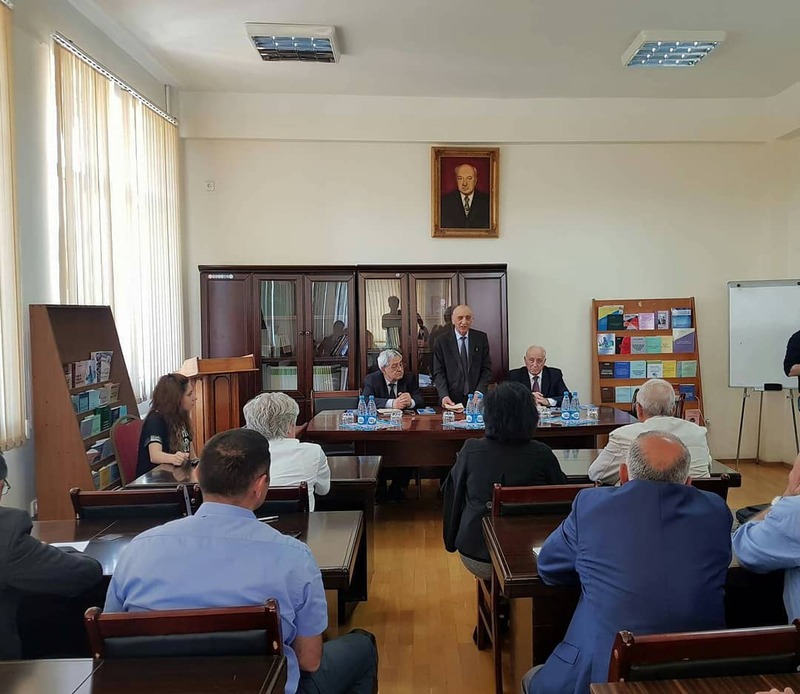 At the seminar the associate professor of the Department of Theory of functions and functional analysis of the Mechanics and Mathematics faculty, PhD, Migdad Ismailov was held on the theme “On the Bessel and Hilbert systems in Banach spaces”. On April 17, 2018, at 11:00 am (room #513) the next scientific seminar of the Faculty of Mechanics and Mathematics will be held. At the seminar the associate professor of the Department of Theory of functions and functional analysis of the Mechanics and Mathematics faculty, PhD, Migdad Ismailov will speech on the theme “On the Bessel and Hilbert systems in Banach spaces”. At the seminar the associate professor of the Department of Higher Mathematics of the Mechanics and Mathematics faculty c.p.-m.s., Sarvan Huseynov was speaking on the theme “The Dirichlet problem for a class of degenerate non-uniformly elliptic equations of second-order”. On April 10, 2018, at 11:00 am (room #513) the next scientific seminar of the Faculty of Mechanics and Mathematics will be held. At the seminar the associate professor of the Department of Higher Mathematics of the Mechanics and Mathematics faculty c.p.-m.s., Sarvan Huseynov will speech on the theme “The Dirichlet problem for a class of degenerate non-uniformly elliptic equations of second-order”. At the seminar the report of the Head of the Department of “Algebra and Geometry”, Doctor of Physical and Mathematical Sciences, prof. Arif Salimov was held on the topic “About problems of modern geometry on manifolds”. On April 03, 2018 at 10:00 am (room #513) the next scientific seminar of the Mechanics and Mathematics faculty will be held. 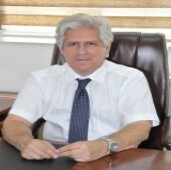 At the seminar the Head of Department of “Algebra and Geometry” of the Mechanics and Mathematics faculty d.p.-m.s., prof. Arif Salimov will speech on the theme “About problems of modern geometry on manifolds”. Paper of Professor A. Salimov has been published in "Periodica Mathematica Hungarica" (Springer), which is the journal of the Jànos Bolyai Mathematical Society. Rector of Baku State University (BSU), academician Abel Maharramov met with PhD students of BSU.